Home burglaries increase around the holidays for obvious reasons: you’re gone, and your house is empty and vulnerable. 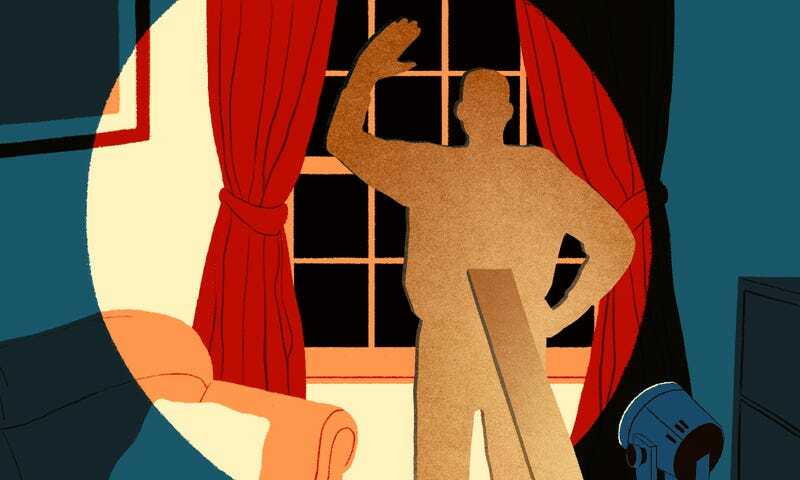 While you’re away, you want to make sure your home is as secure as possible and part of this means making it look like someone is actually there, even when you’re not. Burglars don’t want to be seen. They looked for homes with big fences and overgrown trees or bushes. “Home away from other homes, blind spots, older window frames, cheap wooden doors,” wrote a burglar. “Large trees, bushes or shrubs around the home, or very reserved and conservative neighbors,” wrote another inmate. It’s a good reminder to make sure your bushes and shrubs are trimmed before you leave. Yep, it’s time to get Kevin McCallister on your home. Okay, don’t go buy a bunch of life-size cardboard cutouts, but you do want to make it look like there’s some kind of activity going on in your home. At the very least, put your lights on a timer or leave a radio on. Timers are inexpensive and you can schedule them to turn on and off at specific times throughout the day. Better yet, use smart home technology (like the Belkin WeMo light switch or outlet) for more control over your lamps, lights, and other devices. For example, Belkin’s app gives you an “away” option so lights will turn on and off at irregular intervals, which can throw off potential burglars. Also, via YouTube TV, you can link your phone to your home computer or TV to play videos remotely even if you’re not on the same WiFi network. Of course, there are apps that allow you to control your computer remotely, too. TeamViewer is our favorite. As a homeowner, this is one of the best precautions you can take. Almost all of the burglars said they’d think twice if there was a car in the driveway. “Most of the time that is a sure-fire sign of someone being home,” wrote an inmate. Sure, some burglars might see through this, but it’s better than not doing anything and making it obvious your home is empty. You may want to reconsider broadcasting your plans or checking into places while you’re away or at least set your social media handles to private. This might seem like overkill, but according to officials, criminals don’t just stake out your neighborhood and home, they can easily check your social media handles, too. Plus, in many cases, the burglar may be a person you’ve interacted with that has easy access to your online information. You may not even realize you’ve enabled Facebook or Twitter to tag your location, so that’s something to watch out for, too. Along the same lines, your out of office reply can be a dead giveaway that you’re gone and your home is empty. You can filter your vacation responder to only send to certain people in your contact list or from certain email addresses. Obviously, there are a lot of things you can (and should) do to protect your home while you’re away. Set up surveillance. Install a security system. Ask a neighbor to check on things. Making it look like you’re home is just another way to deter potential thieves, but it’s an easy enough tactic to implement. At the very least, put your lights on a timer or leave a radio on. Timers are inexpensive and you can schedule them to turn on and off at specific times throughout the day. reconsider broadcasting your plans or checking into places while you’re away or at least set your social media handles to private. This might seem like overkill, but according to officials, criminals don’t just stake out your neighborhood and home, they can easily check your social media handles, too. you can link your phone to your home computer or TV to play videos remotely even if you’re not on the same WiFi network. Of course, there are apps that allow you to control your computer remotely, too. TeamViewer is our favorite.